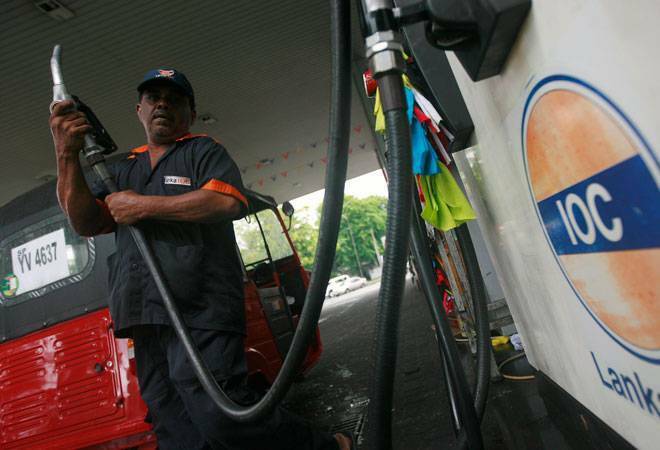 Indian Oil Corp (IOC), the nation's largest oil company, plans to nearly double refining capacity to 150 million tonnes by 2030 to meet fast expanding energy needs of the country, its Chairman B Ashok said. The company has capacity at refineries to produce 80.7 million tonnes per annum of fuel currently. "IOC is self-sufficient in the refining segment, but keeping in view the rising demand for petroleum products in the short-term, we are aiming at a refining capacity of about 100-110 million tonnes per annum by the year 2022 and progressively scale it up to at least 150 million tonnes by the year 2030," he said. International Energy Agency's World Energy Outlook projects 4 per cent CAGR growth in India's fuel demand to 348 million tonnes by 2030, from 184 million tonnes in 2015-16. BP projects demand to be 335 mt while EIA has pegged it at 294 million tonnes, which translates into a CAGR of 3 per cent. India has a refining capacity of 232.06 million tonnes. IOC will expand its refining capacity to 104.55 million tonnes by 2022 from the current 80.7 million tonnes per annum with an investment of about Rs 40,000 crore. It is looking to scale up its Koyali refinery in Gujarat to 18 million tonnes from 13.7 million tonnes while capacity of the Panipat refinery in Haryana will be raised by a quarter to 20.2 million tonnes from the current 15 million tonnes. A 3-million tonnes capacity addition each is planned for Uttar Pradesh's Mathura and Bihar's Barauni refineries, which will take their capacity to 11 million tonnes and 9 million tonnes, respectively. The recently-commissioned 15 million tonnes Paradip refinery in Odisha will see a capacity addition of 5 million tonnes while about 3 million tonnes will be added in IOC's Digboi and Bongaigaon refineries in the North-East. He, however, did not give details of the expansions that will take the capacity to 150 million tonnes. Ashok said IOC is also expanding its pipeline and retail network. "We have 45,000-plus customer touch points as of now and this number will go up further in the next five years, especially in rural and virgin markets in order to secure the first mover advantage," he said. Also, a Strategy Cell has been set up, which is preparing roadmaps for future growth of IOC as an energy business amid multiple scenarios, he added.